Mohit Sharma and Vijay Natarajan. ICVGIP 2018:Proc. Indian Conference on Computer Vision, Graphics and Image Processing, In Press. Raghavendra Sridharamurthy, Talha Bin Masood, Adhitya Kamakshidasan and Vijay Natarajan. Edit distance between merge trees. IEEE Transactions on Visualization and Computer Graphics, In press. Akash Anil Valsangkar, Joy Merwin Monteiro, Vidya Narayanan, Ingrid Hotz and Vijay Natarajan. 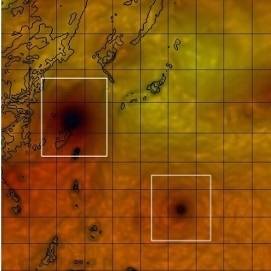 An exploratory framework for cyclone identification and tracking. IEEE Transactions on Visualization and Computer Graphics, 25(3), 2019, 1460-1473. Raghavendra Sridharamurthy, Adhitya Kamakshidasan and Vijay Natarajan. Edit distances for comparing merge trees. Girijanandan Nucha, Georges-Pierre Bonneau, Stefanie Hahmann and Vijay Natarajan. Computing contour trees for 2D piecewise polynomial functions. Computer Graphics Forum (EuroVis 2017), 36(3), 2017, 23-33. Nithin Shivashankar and Vijay Natarajan. Efficient software for programmable visual analysis using Morse-Smale complexes. In Topological Methods in Data Analysis and Visualization IV. Springer-Verlag, Mathematics and Visualization Series, 2017, 317-331. Abhishek Rathod, Talha Bin Masood and Vijay Natarajan. Approximation algorithms for Max Morse matching. Computational Geometry: Theory and Applications, 61, 2017, 1-23. Raghavendra Sridharamurthy, Talha Bin Masood, Harish Doraiswamy, Siddharth Patel, Raghavan Varadarajan and Vijay Natarajan. Extraction of robust voids and pockets in proteins. In Visualization in Medicine and Life Sciences III. Springer-Verlag, Mathematics and Visualization Series, 2016, 329-349. Talha Bin Masood and Vijay Natarajan. 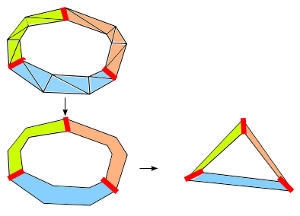 An integrated geometric and topological approach to connecting cavities in biomolecules. PacificVis 2016: Proc. IEEE Pacific Visualization Symposium, 2016, 104-111. Nithin Shivashankar, Sonali Patil, Amrisha Bhosle, Nagasuma Chandra and Vijay Natarajan. MS3ALIGN: an efficient molecular surface aligner using the topology of surface curvature. Nithin Shivashankar, Pratyush Pranav, Vijay Natarajan, Rien van de Weygaert, E. G. Patrick Bos, and Steven Rieder. 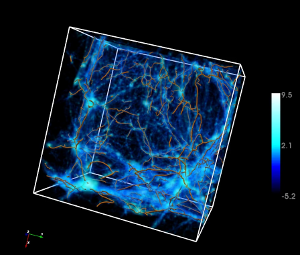 Felix: A topology based framework for visual exploration of cosmic filaments. IEEE Transactions on Visualization and Graphics, 22(6), 2016, 1745-1759. Roxana Bujack, Jens Kasten, Vijay Natarajan, Gerik Scheuermann and Kenneth I. Joy. 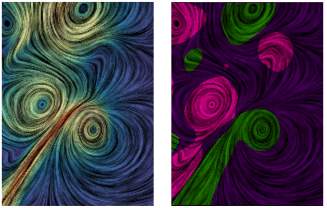 Clustering moment invariants to identify similarity within 2D flow fields. EuroVis 2015: EG/VGTC Conference on Visualization (Short Paper), 2015, 31-35. Talha Bin Masood, Sankaran Sandhya, Nagasuma Chandra and Vijay Natarajan. 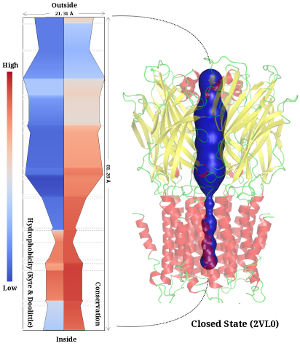 ChExVis: a tool for molecular channel extraction and visualization. Vidya Narayanan, Dilip Mathew Thomas and Vijay Natarajan. PacificVis 2015: Proc. IEEE Pacific Visualization Symposium, 2015, 263-270. Aditya Acharya and Vijay Natarajan. 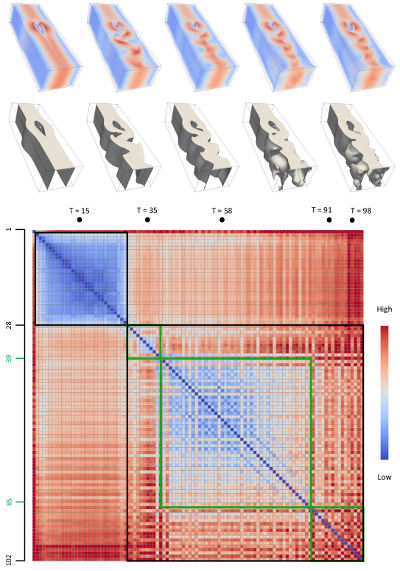 A parallel and memory efficient algorithm for constructing the contour tree. PacificVis 2015: Proc. IEEE Pacific Visualization Symposium, 2015, 271-278. Talha Bin Masood, Hari Krishna Malladi and Vijay Natarajan. Facet-JFA: Faster computation of discrete Voronoi diagrams. ICVGIP 2014: Proc. Indian Conference on Computer Vision, Graphics and Image Processing, 2014, 20:1-20:8. Kanuj Kumar, Vijay Natarajan, S. K. Sikdar and Kalyan V. Srinivas. 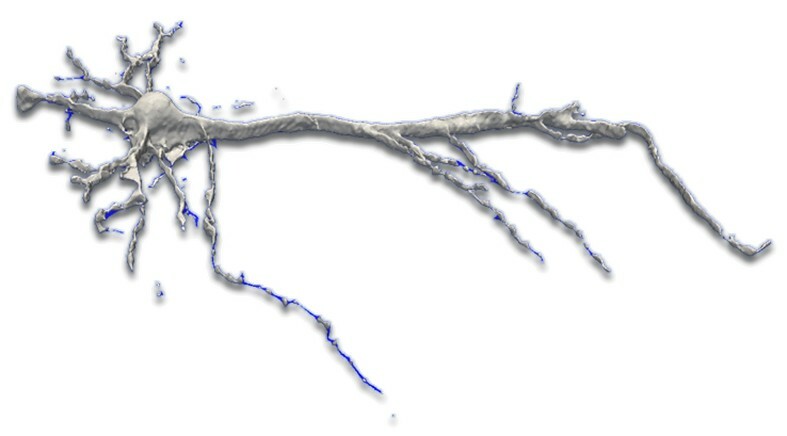 An interactive framework for reconstructing 3D neuronal structures. ICVGIP 2014: Proc. Indian Conference on Computer Vision, Graphics and Image Processing, 2014, 19:1-19:8. Dilip Mathew Thomas and Vijay Natarajan. 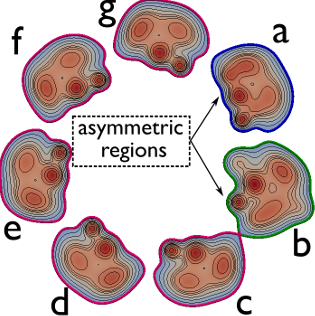 Multiscale symmetry detection in scalar fields by clustering contours. IEEE Transactions on Visualization and Computer Graphics (IEEE SciVis 2014), 20 (12), 2014, 2427-2436. N. Anurag Murty, Vijay Natarajan and Sathish Vadhiyar. Efficient homology computations on multicore and manycore systems. HiPC 2013: Proc. Intl. Conf. High Performance Computing, 2013. 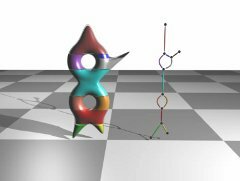 Detecting symmetry in scalar fields using augmented extremum graphs. IEEE Transactions on Visualization and Computer Graphics (IEEE SciVis 2013), 19 (12), 2013, 2663-2672. Harish Doraiswamy, Vijay Natarajan and Ravi S. Nanjundiah. An exploration framework to identify and track movement of cloud systems. IEEE Transactions on Visualization and Computer Graphics (IEEE SciVis 2013), 19 (12), 2013, 2896-2905. Preeti Malakar, Vijay Natarajan, Sathish S. Vadhiyar and Ravi S. Nanjundiah. 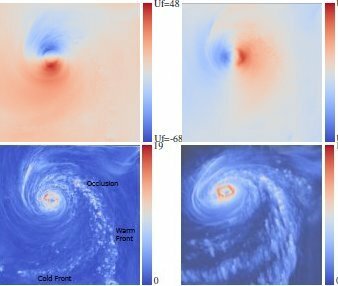 A diffusion-based processor reallocation strategy for tracking multiple dynamically varying weather phenomena. ICPP 2013: Proc. Intl. Conf. Parallel Processing, 2013, 50-59. Harish Doraiswamy, Nithin Shivashankar, Vijay Natarajan and Yusu Wang. Computers & Graphics, 37 (7), 2013, 787-799. Raghavendra Sridharamurthy, Harish Doraiswamy, Siddharth Patel, Raghavan Varadarajan and Vijay Natarajan. EuroVis 2013: EG/VGTC Conference on Visualization (Short Paper), 2013. Talha Bin Masood, Dilip Mathew Thomas and Vijay Natarajan. Scalar field visualization via extraction of symmetric structures. The Visual Computer (CGI 2013), 29(6), 2013, 761-771. Harish Doraiswamy and Vijay Natarajan. 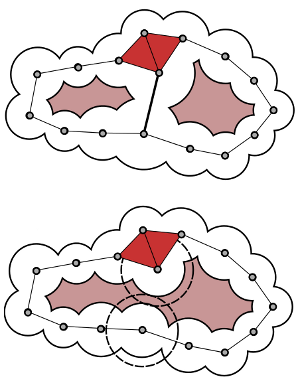 Computing Reeb graphs as a union of contour trees. IEEE Transactions on Visualization and Computer Graphics, 19 (2), 2013, 249-262. Pranav D. Bagur, Nithin Shivashankar, and Vijay Natarajan. 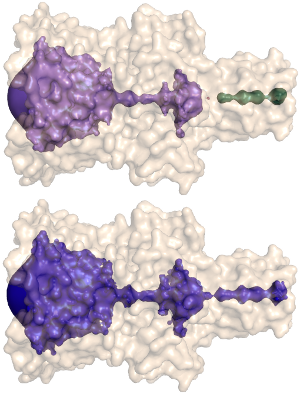 Improved quadric surface impostors for large bio-molecular visualization. ICVGIP 2012: Proc. Indian Conference on Computer Vision, Graphics and Image Processing, 2012, 33:1-33:8. 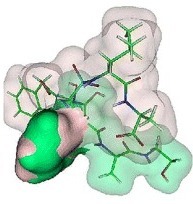 Parallel computation of 3D Morse-Smale complexes. Computer Graphics Forum (EuroVis 2012), 31(3), 2012, 965-974. 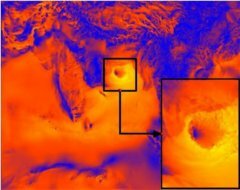 Integrated parallelization of computation and visualization for large-scale weather applications. Dissertation Research Showcase, SC 2012. Senthilnathan Maadasamy, Harish Doraiswamy and Vijay Natarajan. 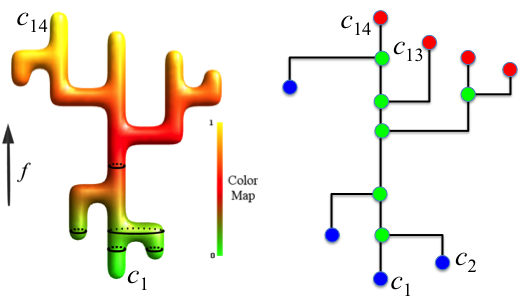 A hybrid parallel algorithm for computing and tracking level set topology. HiPC'12: Proc. Intl. Conf. High Performance Computing, 2012, 1-10. Preeti Malakar, Thomas George, Sameer Kumar, Rashmi Mittal, Vijay Natarajan, Yogish Sabharwal, Vaibhav Saxena and Sathish S. Vadhiyar. A divide and conquer strategy for scaling weather simulations with multiple regions of interest. SC 2012: Proc. IEEE/ACM Supercomputing, 2012, 37.1-37.11. Dilip Mathew Thomas, Phaneendra K. Yalavarthy, Deepak Karkala, and Vijay Natarajan. Mesh simplification based on edge collapsing could improve computational efficiency in near infrared optical tomographic imaging. IEEE Journal of Selected Topics in Quantum Electronics (issue on biophotonics), 18(4), 2012, 1493-1501. Nithin Shivashankar, Senthilnathan M and Vijay Natarajan. Parallel computation of 2D Morse-Smale complexes. IEEE Transactions on Visualization and Graphics, 18(10), 2012, 1757-1770. Preeti Malakar, Vijay Natarajan and Sathish Vadhiyar. Integrated parallelization of computations and visualization for large-scale applications. Vijeth Dinesha, Neeharika Adabala, and Vijay Natarajan. Uncertainty visualization using HDR volume rendering. The Visual Computer, 28(3), 2012, 265-278. Output-sensitive construction of Reeb graphs. IEEE Transactions on Visualization and Computer Graphics, 18(1), 2012, 146-159. 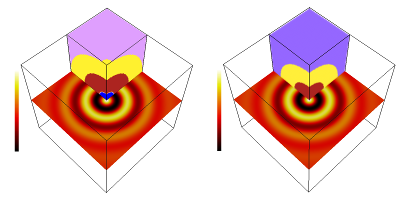 Symmetry in scalar field topology. IEEE Transactions on Visualization and Computer Graphics (IEEE Vis 2011), 17(12), 2011, 2035-2044. Suthambhara Nagaraj, Vijay Natarajan, and Ravi S. Nanjundiah. 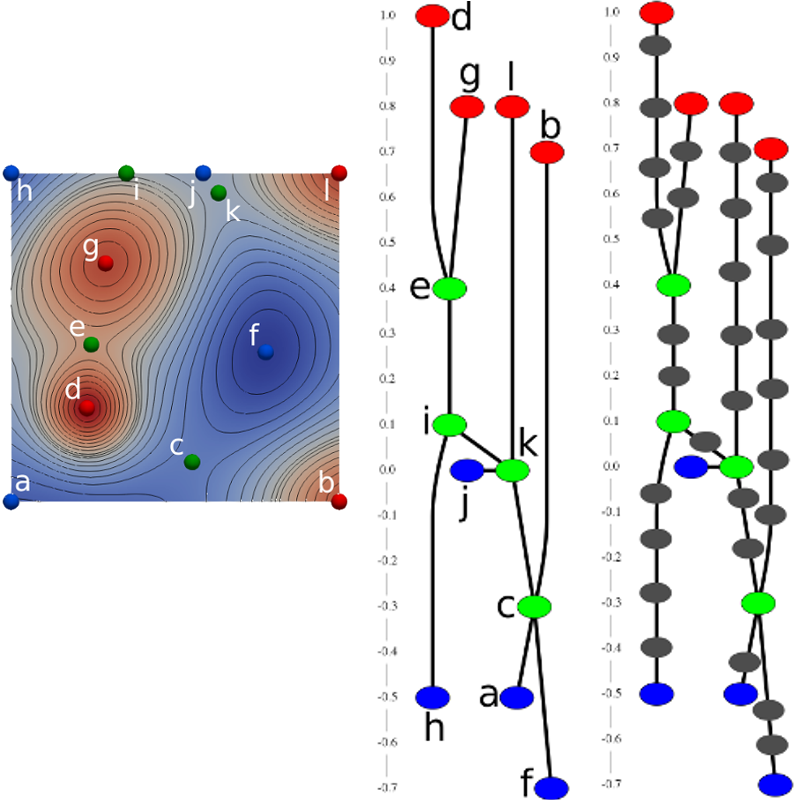 A gradient-based comparison measure for visual analysis of multifield data. Computer Graphics Forum (EuroVis 2011), 30(3), 2011, 1101-1110. Preeti Malakar, Vijay Natarajan, and Sathish Vadhiyar. INST: An integrated steering framework for critical weather applications. ICCS 2011: Proc. International Conference on Computational Science, Procedia Computer Science, 4, 2011, 116-125. Dilip Mathew Thomas, Vijay Natarajan, and Georges-Pierre Bonneau. Link conditions for simplifying meshes with embedded structures. IEEE Transactions on Visualization and Computer Graphics, 17(7), 2011, 2007-2019. Suthambhara N. and Vijay Natarajan. 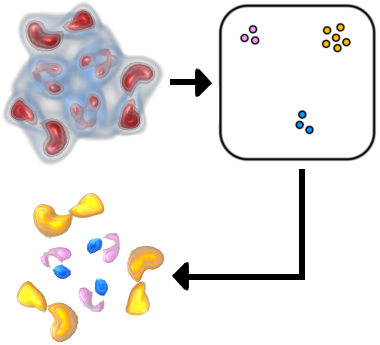 Relation-aware isosurface extraction in multi-field data. IEEE Transactions on Visualization and Computer Graphics, 17(2), 2011, 182-191. In Topological Data Analysis and Visualization: Theory, Algorithms and Applications., Valerio Pascucci, Xavier Tricoche, Hans Hagen, and Julien Tierny (editors), Springer-Verlag, Mathematics and Visualization Series, 2011, 91-102. Ichitaro Yamazaki, Vijay Natarajan, Zhaojun Bai, and Bernd Hamann. The Visual Computer, 26(12), 2010, 1421-1433. 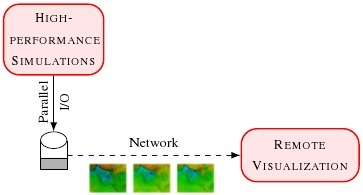 An adaptive framework for simulation and online remote visualization of critical climate applications in resource-constrained environments. SC 2010: Supercomputing Conference, New Orleans LA, Nov 2010. SoCG 2010: ACM Symposium on Computational Geometry, Video / Multimedia track, 2010. Preeti Malakar, Vijay Natarajan, and Sathish S. Vadhiyar. A coupled framework for parameter simulation and visualization. Uncertainty visualization using HDR images. Eurographics / IEEE-VGTC Symposium on Visualization, Poster, 2010. Scott E. Dillard, Vijay Natarajan, Gunther H. Weber, Valerio Pascucci, and Bernd Hamann. Topology-guided tessellation of quadratic elements. Invited paper in Intl. J. Computational Geometry and Applications, 19(2), 2009, 195-211. Preeti Malakar, Vijay Natarajan, Sathish S. Vadhiyar, and Ravi S. Nanjundiah. 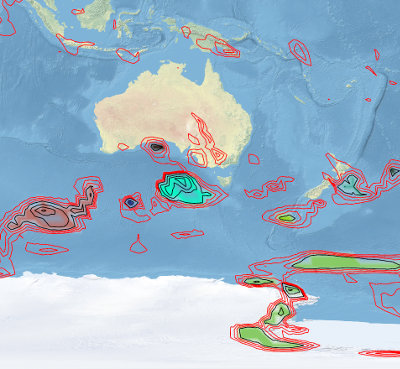 An integrated simulation and visualization framework for tracking cyclone Aila. Student Research Symposium, HiPC, Kochi, India, December 2009. Efficient algorithms for computing Reeb graphs. Computational Geometry: Theory and Applications, 42, 2009, 606-616. 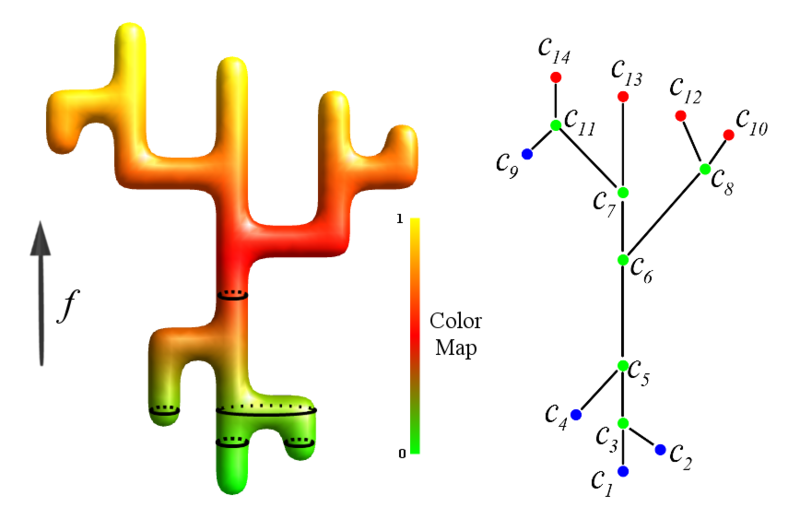 Efficient output-sensitive construction of Reeb graphs. ISAAC 2008: Proc. Intl. Symp. Algorithms and Computation, LNCS 5369, Springer-Verlag, 2008, 557-568. Manohar B. Srikanth, P.C. Mathias, Vijay Natarajan, Prakash Naidu, and Timothy Poston. Visibility volumes for interactive path optimization. The Visual Computer (Computer Graphics International 2008), 23, 2008, 1-13. Vijay Natarajan, Patrice Koehl, Yusu Wang, and Bernd Hamann. 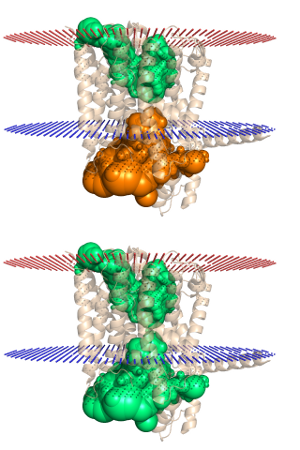 Visual analysis of biomolecular surfaces. In Mathematical Methods for Visualization in Medicine and Life Sciences. Springer Verlag, Mathematics and Visualization Series, 2007, 237-255. Attila Gyulassy, Vijay Natarajan, Valerio Pascucci, and Bernd Hamann. IEEE Transactions on Visualization and Computer Graphics (IEEE Vis 2007), 13(6), 2007, 1440-1447. Attila Gyulassy, Mark Duchaineau, Vijay Natarajan, Valerio Pascucci, Eduardo Bringa, Andrew Higginbotham, and Bernd Hamann. IEEE Transactions on Visualization and Computer Graphics (IEEE Vis 2007), 13(6), 2007, 1432-439. Oliver G. Staadt, Vijay Natarajan, Gunther H. Weber, David F. Wiley, and Bernd Hamann. Interactive processing and visualization of image data for biomedical and life science applications. 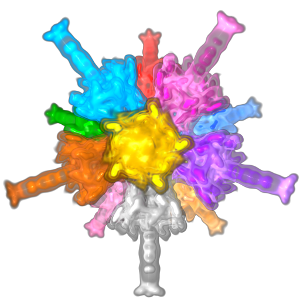 BMC Cell Biology (special issue), 8:S10, 2007.